Food Technology 2019 welcomes all the delegates and participants from far and wide the world to attend 4th International Conference on Food Chemistry and Technology during November 18,19, 2019 in Berlin,Germany . The conference highlights the theme “Innovations & emerging technologies for food research and development”. This scientific meeting involves current research, development and discovery of food chemistry and food technology, the conference is designed to encourage the exchange of ideas across a broad range of disciplines. And this scientific gathering permits a typical platform for the participants to debate their analysis so as to determine a scientific network between the world and trade resulting in foster collaboration and to appraise the rising problems, technologies, and innovations results in explore new prospects and increasing the existed opportunities throughout the globe. We are putting our efforts in making a healthier world, and generously finding out the possible steps in keeping away the food-related issues and infectious diseases from the current situations. Hence joining our hands with the strongest scientific community, industrialists and young researchers in making an innovative world which is free from food-borne infections. Discovering the new advances on food chemistry and technology for the new generation which implies just not to investigate the on-going new development rather it could be extended to all conceivable ways which will be co-operative in more and more advanced research in this rising field. Food innovation can be utilized to propel such a significant number of features of the present reality. This conference also focuses on a wide variety of current research on Food chemistry and technology that have both useful and harmful effects on the safety and quality of foods, and are thus a concern of public health about on food and nutrition that have both valuable and unsafe impacts on the security and nature of foods and nutrition, and are thus a concern of public health. Substances that are added to food to maintain or improve the safety, freshness, taste, texture, or appearance of food are known as food additives. Some food additives have been in use for centuries for preservation – such as salt (in meats such as bacon or dried fish), sugar (in marmalade), or sulphur dioxide (in wine). The use of food additives is only justified when their use has a technological need, does not mislead consumers, and serves a well-defined technological function, such as to preserve the nutritional quality of the food or enhance the stability of the food. Additives are needed to ensure processed food remains safe and in good condition throughout its journey from factories or industrial kitchens, during transportation to warehouses and shops, and finally to consumers. WHO, together with FAO, grouped food additives into 3 broad categories based on their function. Food is generally composed of chemical and biochemical compounds which may exposed each other or to the certain environmental conditions and resulting in the new food compounds. Kinetics means studying the rate of chemical reactions carried out by some catalyst that take place in food during processing, preservation etc. Some reactions are necessary to produce the compounds with best flavour, texture, taste etc. and some may result in harmful substance, spoilage. Chemical reaction occurs when the enough energy brought to the molecules and this will produce the collisions that results in breakage and formation of bond in the food molecules. The important thing that studied in kinetics of food process is water activity, temperature, concentration etc. Some of the factors affecting the Kinetics of food process is nature of the food, concentration etc. 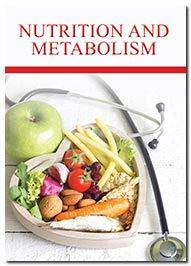 Intermediary metabolism is defined as the reactions that take place in every cell of the living beings. It is catalysed by the enzymes. These reactions that take place through the series of pathway called as metabolic pathway. Metabolism is divided as (Anabolism and Catabolism). Anabolism means the reaction that builds the complex molecule from the simpler ones for example bone growth. Catabolism refers to the breakdown reaction for energy yielding for example Glycolysis, Citric acid cycle etc. If metabolic pathway is not regulated by the body these will leads to the metabolic disorder example Tyrosinemia. Foods may develop a variety of brown colors, from yellow-brown to red-brown to black-brown, during handling, processing, and storage. These colors are desirable in certain foods (e.g., coffee, beer, bread, maple syrup). In other foods, such as most dehydrated fruits and vegetables, dried eggs, and canned or dried milk, browning is detrimental. Even when desirable, browning should not be excessive, as in potato chips, french fries, and apple juice. Numerous reactions lead to browning in foods. Some of these may also generate flavours and/or alter the nutritional properties of foods. Enzymatic Browning: Several enzymes may initiate reactions that eventually produce brown colors in foods known as enzymatic browning. 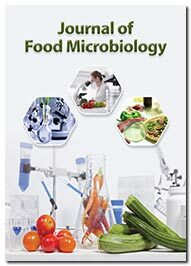 Food microbiology is the study of the microorganisms that inhabit, create, or contaminate food. Of major importance is the study of microorganisms causing food spoilage. "Good" bacteria, however, such as probiotics, are becoming increasingly important in food science. In addition, microorganisms are essential for the production of foods such as cheese, yogurt, and other fermented1 foods such as bread, beer and wine. Besides, the good, bacteria are also bad as they produce various toxins. Food contaminants are substances included unintentionally in Foods Some are harmless and others are hazardous because of the toxicological risks from their intake to the consumers. The safety and authenticity of the food we eat and the hygiene of food premises that prepare and serve food is of paramount importance. This is reflected in the work of government agencies, regulatory bodies and local councils who have responsibility for food safety. Individual food producers, suppliers and catering outlets also require knowledge and understanding of their responsibilities and legal requirements. Food control systems should cover all food produced, processed and marketed within the country, including imported food. Such systems should have a statutory basis and be mandatory in nature. Effective food control systems require policy and operational coordination at the national level. Current advancements in food sector are implementing the artificial intelligence applications. Smart packaging systems like Nano packaging and edible packaging films are in use to a greater extent. Labelling the processed food for smart packaging and computerizing the food industry with robotics and automations would lead the industry to a totally new era. Scientific developments in the food industry have resulted in significant increases in productivity and adaptability for products as per the market needs. The industry has advanced from the full range of food examination at the atomic and small scale auxiliary level, through crude material handling to food designing. The advancements are moving towards novel preparing techniques, computerization, quality control and confirmation, microbiological security issues, progresses in conservation and bundling advances and tangible examinations. Scientists and farmers have been trying to increase the quality and quantity of foods for the world’s growing populations. Modern biotechnology offers the powerful methods to achieve these goals. Recent advances in food biotechnology allow the accurate identification of specific gene that produce individual flavour, texture and toxic in natural food material and also the manipulation of these compounds in natural food material. Some example of genetically modified foods with enhanced health value is strawberry that contains increased value of cancer fighting ellagic acid. It also says and teaches the farmers how the food and food stuff should be produced within the short period of time. Nowadays food industries are using the nanotechnology methods in food packing provides good barrier to oxygen, UV rays, moisture etc. Traditional food processing relies on heat to kill foodborne pathogens, (bacteria, viruses, and parasites) to make food safe to eat. For many foods, heating is an effective way to treat foods. However, there are many foods that pose a risk for bacterial or viral foodborne disease for which heat is either undesirable or cannot be used e.g. raw oysters and produce. There has been a consumer demand for minimally processed food, such as pre-cut greens or fruit, or oysters that also has an extended shelf-life and is safe to eat. Researchers have been studying non-thermal processing methods (methods that do not use heat) that will destroy pathogens and keep foods safe to eat, while retaining the sensory attributes and nutrient content similar to raw or fresh products. These alternative processing methods are at various stages of development, and have the potential to destroy pathogens and retain desired food quality. Food Technology is a science which deals with the techniques and principles involved in processing and preserving food substances. The application of food science helps in manufacturing safe, wholesome and nutritious food products. The global food tech market is expected to grow over $250.43 billion by 2022 at a single digit CAGR through the forecast period. Each aspect of food technology market is blooming. The food technology is growing globally at 3.5% a year and is expected to grow more than USD 7 trillion by 2014. Key trends for new product development are in health, convenience, naturality, and sustainability. New fruits and vegetables based foods fulfill the demands of the premium consumer. The functional foods (foods that offer benefits beyond basic nutrition) market is one of the fastest growing segments of the global food industry. Around US$25 billion of global sales is achieved by foods and beverages that offer validated health claims, the wider functional food market, including rehydration and sports drinks and foods with softer health claims, is estimated to be worth around US$200 billion. 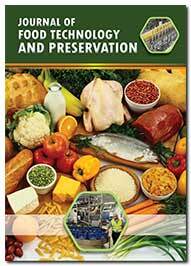 Food processing in the U.S. has come a long way since the 1900s. Companies started developing products that have a longer shelf life and were easy to carry. As investors saw the opportunity in processed foods more and more companies entered the market which not only created jobs but also led to a rise of the American food manufacturing industry around the world. Presently, Coke is distributed in more than 200 countries making the product a global icon. Similarly, Mars Inc., which started out as a candy manufacturer, now has departments looking after pet care, biotech, and food and beverage, distributing its products internationally. ConAgra Foods has 29 brands which bring in annual retail sales of $100 million each. Thus these companies are dominating the international market. Companies provide much-needed jobs to communities. More than 1.5 million people are currently employed by food manufacturing firms in America. In Kentucky, logistics has become the major attraction for companies. In Ohio, the low tax structure acts as an attraction for food companies. Pennsylvania’s Lehigh Valley has the highest number of beverage manufacturers. The U.S. food industry will have a steady growth of 2.9% CAGR through 2022. In the future, the processed foods industry gives economic developers more opportunities to create jobs and attract projects. The major manufacturing hubs in the globe are Europe which constitutes the majority share in the food flavors and enhancer market along with North America. The European market is a mature market and has several regulatory bodies to regulate stringently the use of food flavors and enhancers, thereby taking care of the consumers of the nations. Germany constitutes the major share having 24% followed by the UK (23%), Spain (10%), Netherland (5%) and Italy (9%). The US $ 823 million is the market size by value of the synthetic flavor and $ 755.65 million US dollar is the market size by value of the natural in the year 2014. The Asia-Pacific food market is constantly growing. China is one of largest food markets in volume and value terms because of its population size and growing income. The preservative market in Asia-Pacific is diverse; developed countries (e.g., South Korea and Japan) account for 40% of the market and consume non-genetically modified (GM)-based antioxidants, while developing countries (e.g., Singapore, Malaysia, Thailand, Taiwan, and Vietnam) consuming more GM-based antioxidants. The fortified food ingredients are key growth drivers in the Asia Pacific. Asia turns to be the home to the world’s fastest-growing retail markets for processed meat, poultry, and fish, with Indonesia and India playing key roles across these categories. With a CAGR of 26.7% between 2011 and 2015, Indonesia is currently among the fastest growing processed meat and poultry markets globally, followed by India (22%), Vietnam (15.5%), China (13.9%), and Brazil (10.9%). The Asia Pacific was the second most dynamic section globally in terms of processed meat, poultry and fish New Product Development (NPD), accounting for 24% of processed meat, poultry, and fish product innovations, led by China, Thailand, South Korea, Vietnam, and the Philippines in 2016. In the Asia-Pacific region, poultry meat includes the mainstream of the demand. The per capita consumption of poultry meat is expected to reach 39.6 kg in Australia by 2022. Ireland’s food sector remains in robust health, with the foodservice market growing to a record $8.69 billion in 2016 and forecast to grow to more than $10.43 billion by 2020. Ireland supplies 41 percent of food and drinks exports to the UK, valued at $ 5.10 billion. This comprises 70 percent of prepared consumer foods exports; 56 percent of meat exports; 30 percent of dairy exports (including 60 percent of cheese exports); and 32 percent of alcohol exports. With the level of tariffs that could apply under the WTO, the impact on trade, competitiveness, company profits, and farm incomes would be catastrophic.